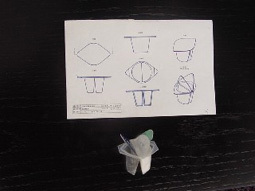 Patented ECO Products„ San-Ai Corporation, U.S.A. These photos offer several examples of the many new cutting edge products which San-Ai Engineers have recently designed and developed. 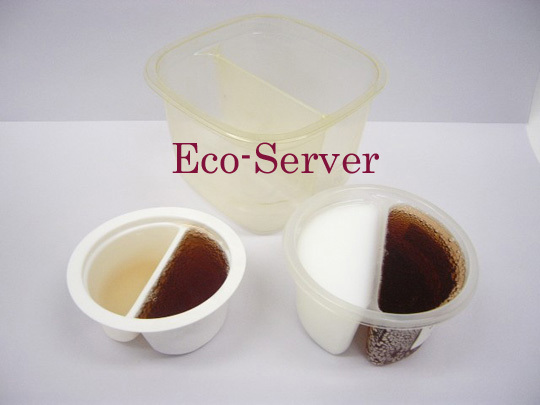 The Eco-Cup and Eco-Server product lines are also patented! By patenting our products, we can offer exclusivity to your new product introductions, with our unique packaging. Such collaboration can lead to dramatic sales results of new product introductions. Our emphasis on Environmentally Friendly products remains a high priority in all of our design and research development projects. The photos below are the final Mock-Up Prototypes of our Eco-Cup and our Eco-Server. We stand ready to present the complete San-Ai ECO-SERVE Family of products, for your consideration and adoption to your existing Retail packaging needs. We believe that many leading Fast Food leaders will find our Eco-Cup and Eco-Server very positive alternatives to the condiment dispensing packaging presently available. 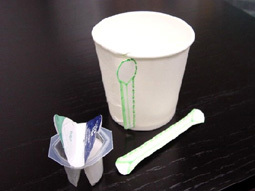 Simply by utilizing our Eco-Cup products, waste disposal of such materials can be cut in HALF!! San-Ai Corporation is excited about the positive effect our products can have on our environment!